A longtime proponent of massage therapy, and in more recent years, self-care in general, I’ve realized that a good massage can have immediate short-term effects. Usually it’s a great way to relieve tension and pain, as well clear my head of a whirlwind of to-do’s. When I make it a habit, regardless of the interval, I’ve found that consistent massage therapy contributes to my everyday general relaxation and mental well being. I’ve gone to salons, hotel spas, clinics, doctor’s offices, strip mall chains, and private homes for massages. My wife even researched massage methods to use at home in order to help alleviate the daily knee pain I had experienced for last year. Although all different, I’ve never had a bad massage. Before the holidays, my elementary-aged kids seemed unduly stressed out with homework and activities and friends. While much of it was self-created with the fast pace of our lives and was controlled by the simple act of slowing down over school break, we didn’t want it to start up again in the new year when school started back up. Our antidote was Gayle Stephens of Gayleforce Healing Massage and Bodywork. We booked an in-home wellness day for the kids, where each child was pampered in their own informal setting with a massage. 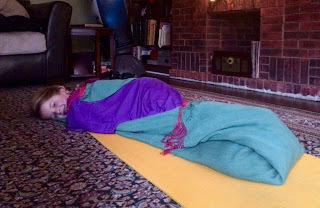 Gayle brought a mat to our house and worked her massage magic on the floor. We arranged less time for our younger child and more for our pre-teen; they fully enjoyed both their massages and the healing care they received from Gayle. She made sure to get input from the kids on where they felt the tension/pain and even wrapped them in their own blankets after the massage. It was incredible to see the same results in my children that I am accustomed to feeling myself after a massage. While each child uniquely experienced the massage, both children looked like the weight of the world had been lifted from their shoulders. Neither could believe how how calm and relaxed they felt after Gayle’s visit. Wellness packages are completely customizable in scope, time, and price. There’s a package suitable for every budget. We learned that a little goes a long way and the kids have already asked when Gayle is coming back. Hoping to add my body into the mix on the next visit. 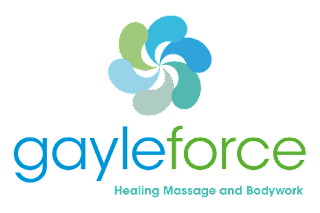 To book an in-studio or in-home wellness session or for more information, call Gayle Stephens at 773-263-6887 or visit GayleForceMassage.com.